Here we go again. After the abandoned Hyperion Wharf plans that were supposed to revitalize Pleasure Island, Disney is once again attempting to breathe new life into the area. This time, however, the plans detail a much, much larger scope, which will give virtually the entire Downtown Disney district a much needed facelift. The next phase of the plans is where it gets interesting. The Downtown Disney area as a whole will be re-branded into “Disney Springs”, which encompasses six distinct neighborhoods: The Gateway, The Town Center, The Springs, The Landing, The West Side, and The Village Marketplace. Each neighborhood will have its own distinct look and feel, described briefly below. 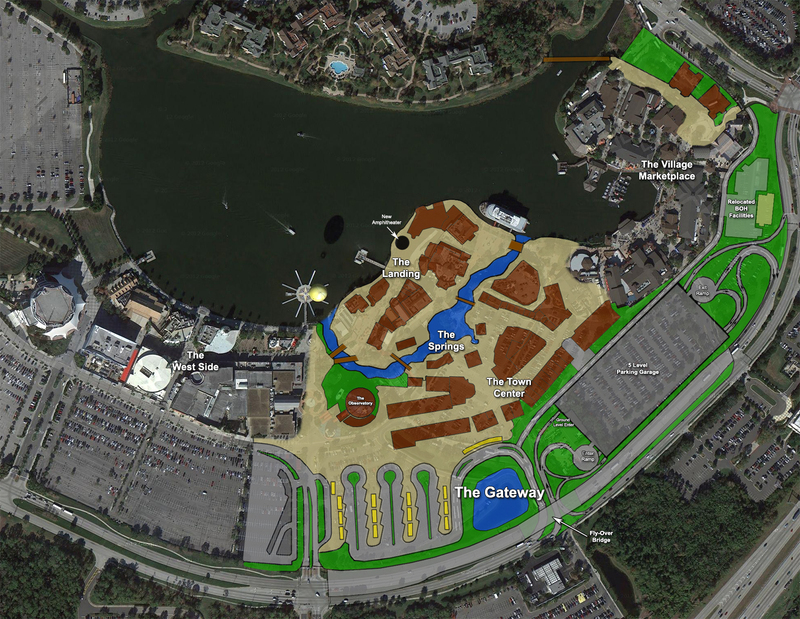 The Gateway, as you probably could have guessed, will be the main access point into Disney Springs. Its main goal is to improve the current parking woes and traffic nightmare Downtown Disney faces during peak seasons. The biggest addition to The Gateway will be a five level parking garage that will sit roughly where the current parking lots C and D are. Parking lots A-H will be removed to support the necessary infrastructure for the new garage, as well as a new, larger bus drop-off and pick-up area. After The Gateway you’ll encounter The Town Center, located on what will have been parking lots E-G. The Town Center will be a busy area featuring many new retail establishments. Following The Town Center you’ll arrive in The Springs, a peaceful, relaxing area along the waterway that runs between it and the former Pleasure Island. Cross one of the new bridges, and you’ll end up in The Landing, full of dining and drinking options and offering nice views of Village Lake. Here you can expect to see several new restaurants and retail locations, as well as a new amphitheater by the water’s edge, next to Paradiso 37. The West Side and The Village Marketplace will remain virtually the same as their current state, with a few small additions. On The West Side, the most notable changes include Planet Hollywood being turned into something called ‘The Observatory’ and losing its surrounding body of water, and a new Starbucks location replacing the current Wetzel’s Pretzels. An overhead railway (for thematic purposes only) will also run above the main stretch of path from Disney Quest down to the new Starbucks. 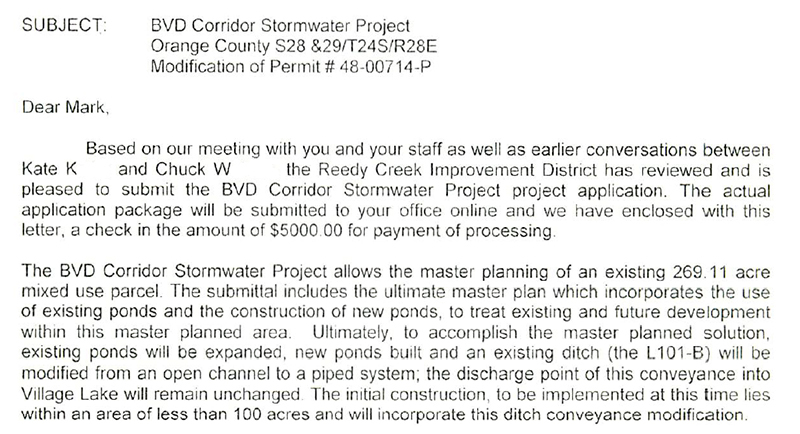 Meanwhile, over in The Village Market Place, the former bus drop-off and pick-up area will become home to two new retail buildings, and a new bridge leading to Saratoga Springs will be constructed. So there you have it, a brief overview of Disney Springs, the future of Downtown Disney. Below I’ve included a colored and labeled overlay of what the proposed plans will transform the area into. 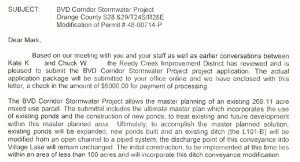 It’s definitely a massive project, and one that will likely create its fair share of headaches during construction. But overall, it looks to be a worthwhile addition to Walt Disney World, and hopefully one that will solve some of the current issues and criticisms that Downtown Disney faces. ‹ previous	Middle-Earth Trademarked For Theme Park Use next ›	Transformers Gift Shop Opening Soon?